St. Michael Catholic School | Friendly. Responsible. Respectful. Christ-like. 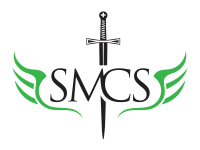 The vision of St. Michael Catholic School is to guide the mind, body and spirit of the next generation of Catholic leaders to live the Gospel of Jesus Christ and to meet their full potential as people created in the image of God. Learn more about our admissions policies and processes, and download all available forms. Please click on the image below if you would like to enlarge it. Wine-O De Mayo...Saturday, May 4th at the Family Center! Department of Family and Protective Services at 1-800-252-5400 or www.txabusehotline.org. If the person is in immediate danger, call 911.